Do you believe that you can't be a painter because you have no technical skill? We know that old excuse: "I can't even draw a straight line." The good news is that a straight line is not required. The even better news is that there are ways you can be creative even when you don't trust your own abilities. Art is all about practice and exploration. 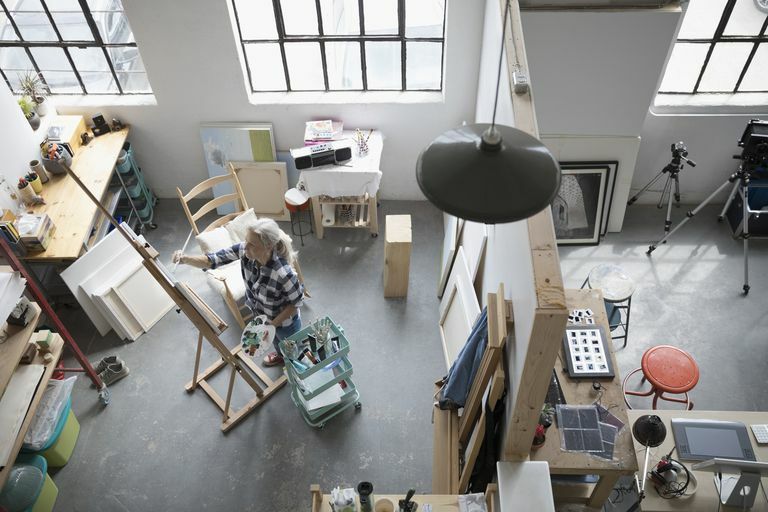 Before you give up on your artistic pursuits, try a new approach and tap into your creative mind. The first step to tapping your hidden artistic talent is a little reality check. Don't aim to be Leonardo da Vinci or compare yourself to another equally famous painter. As much as we would all love to create such masterpieces, comparing yourself to a master of the medium is fruitless. You can still a lot of fun with art, even if you never sell a piece or gain the "artist" label. It's a great hobby, a way to relax, and something that lets you simply enjoy being creative. If you start out by comparing your work to someone who dedicated decades to it, you'll only find disappointment. You hear it all the time in modern art galleries: "Oh, my kid could paint that." While there is more to famous pieces of abstract art than what appears on the surface, this style is a great place to begin. Go ahead, paint an abstract on your own. Start with a square, circle, or triangle and paint it with funky colors or give ​the principles of basic color theory a try. If someone says it's rubbish, you can always say they don't have the capability to see the inner painting. Quite often we try to take on too much at one time. The stereotypical flower vase on a table is actually quite complicated because there's so much going on in the scene. Take the easier approach and make a still life out of something basic like tin cans, a la Andy Warhol. A simple form is far easier to paint. You can use it as an exercise in recognizing basic shapes that form the object and get used to the feel of applying paint onto a surface. There's no need to rush into an elaborate subject and tapping into your artistic side requires practice. Begin with simple things and work your way up. Paint can be overwhelming at first. You have so many colors to choose from and once you realize that you can mix them together to create new colors, things can get out of hand. It's only natural to want to play with this new toy and stretch it to the limits. However, if you use a limited palette, there are fewer chances for you to produce mud when you mix the colors. It's also easier to remember which colors you mixed to get a certain color. Why not try to paint what you know best? See what you can do with a self-portrait. Painting your own face is a great way to explore your art style because you know the subject so well. If it doesn't work out, you can always claim it's the artistic interpretation of your inner emotions. Also, keep in mind that we can often become too literal, especially when trying to create a representational artwork. This is your excuse to explore your artistic license and interpret yourself however you see fit. It's very likely that you've been studying cartoons since you were a small child, even if you didn't know it. These are some of the simplest drawings, made of very basic shapes and lines with very little detail, so they're actually quite easy to reproduce. You can hone your drawing skills with an old favorite like the Flintstones or Smurfs. Simply grab a still image from the cartoon that peaks your interest. Sit down with pencil and paper and try to replicate it. You may just be surprised at how easy it is and that you really can draw. Mixed media is the combining of artistic mediums and it can be a lot of fun. It can also help you hide any imperfections in your painting. All you have to do is stick a collage over it. There are no real tricks to mixed media and you can use whatever you like. Cut up magazines, find old buttons, bits of string, or any other small materials you have around the house. All you need is a little glue or decoupage medium. It's a lot like scrapbooking, but with more of an artistic flare, so do it up and start gluing. Sometimes a little direction can help tremendously. Books and online tutorials can only go so far in learning and the instruction of a real person may be just the thing you need. Check out what your local art center offers for classes. Community centers and college campuses often offer night classes for beginners as well. You can explore almost any medium, too. 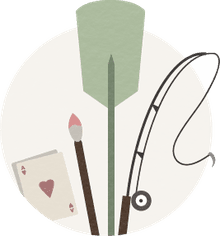 From basic drawing or painting to specific techniques like calligraphy or art journaling, it's a fun way to explore different arts. You'll also have classmates to share the struggles and triumphs with. Speaking of others, get your family involved with your artistic pursuit, especially the kids. It may sound like the results will be a mess, but you can always blame them for the disaster! Art can be a great family activity and a chance to connect with each other, even if it's playing with crayons or painting refrigerator art. Painting and drawing seem to get all the attention when it comes to aspiring artists, but they're not the only game in town. Explore other artistic mediums that don't require a paintbrush or pencil. For example, pottery can be a very rewarding art. There is absolutely no drawing required and what you make can have a functional purpose. It also includes handy tools that help you carve designs. You don't even need a pottery wheel, either. Many vessels can be created with simple slabs of clay. Check with your local art center for an introductory class. Photography is always a good way to go, too. The artistic talent required here is all about capturing your vision. It's a very technical art that can appeal to more mathematically inclined people as well. You can explore your personal vision with something as simple as your cell phone at first and invest in a camera later. How to Create Abstract Art and Have Fun Doing it!